As a work-at-home parent you need to take many decisions on a daily basis. But do you find yourself trying to do everything, and still not being able to achieve anything? Crossing off those items on your to-do list at the end of the day is such a relief. But are you sure those things really matter? 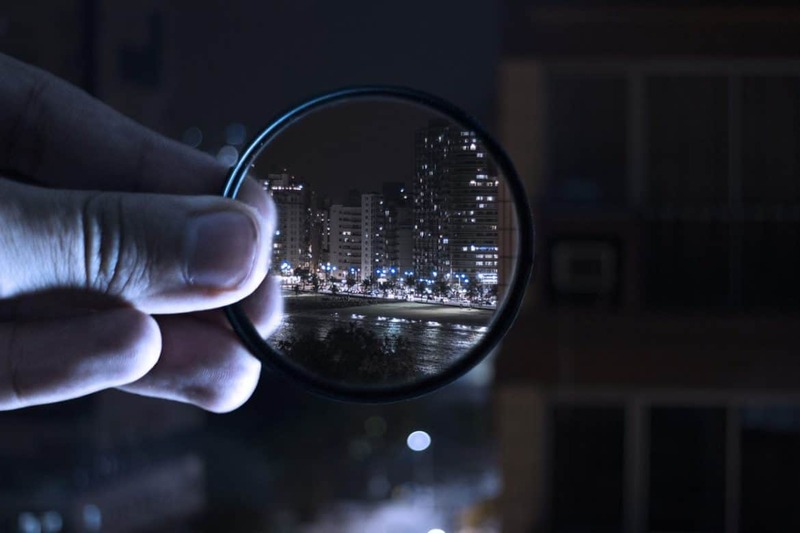 Do they add value and growth to your mission? To really grow as a person, you need to have all aspects of your life balanced. Work-life balance is not hard to achieve. But for that, you need to plan your days wisely. 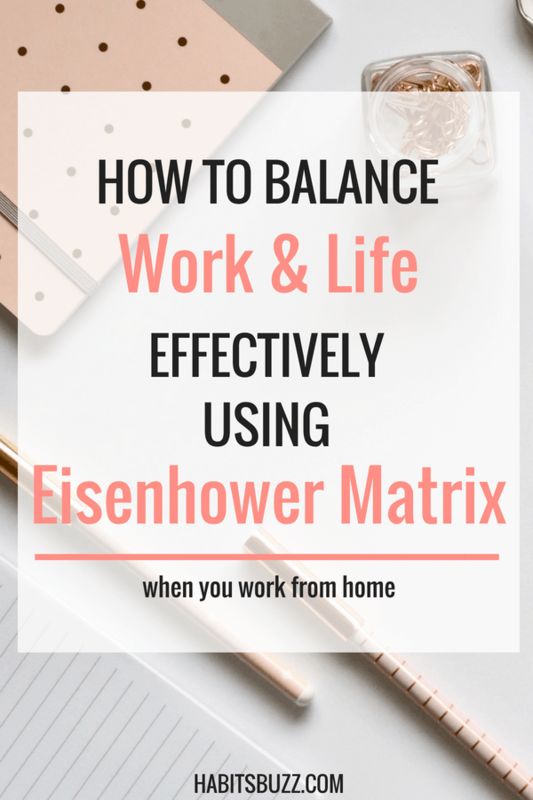 If you know your priorities, you can balance your work-from-home career and life easily. 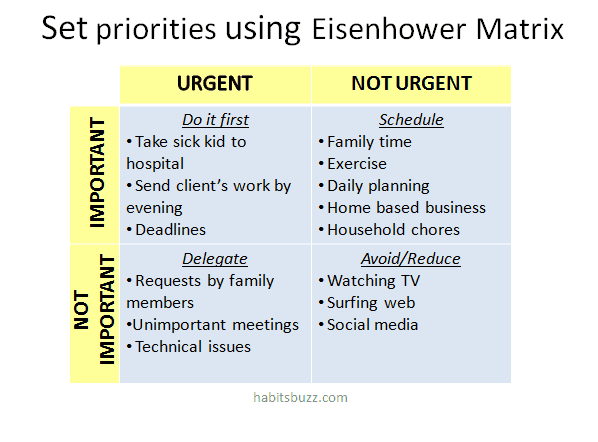 I have found the Eisenhower Matrix works effectively when I need to set my priorities. 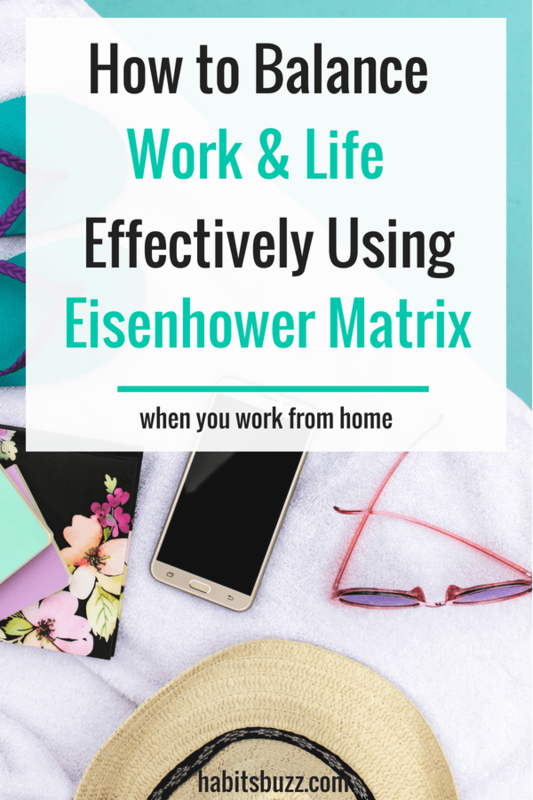 How to Achieve Work-Life Balance Using the Eisenhower Matrix? 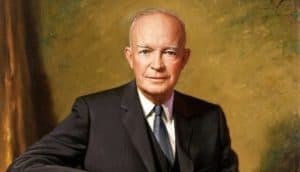 Dwight D. Eisenhower was the 34th President of the United States from 1953 until 1961. He developed this matrix as a tool to help himself decide and focus on the most important tasks he should do each day. This matrix was popularized by Stephen R Covey in his book, ‘7 Habits of Highly Effective People’. The matrix has 4 quadrants. Let me explain what each quadrant stands for. The tasks in the first quadrant are urgent and must be dealt with right away. Your kid is sick. Take him to the hospital. You must submit the project report today. Finish and send your guest blog post by evening. Q1 activities have time constraints. This is the second quadrant. Everything in this quadrant should be scheduled. It is the tasks in this quadrant that we tend to postpone more since they are not urgent. But they have a direct impact on our job, relationships, health and happiness. According to Covey, if you spend more time on this quadrant, you can most probably avoid things that fall in Q1. If you spend the time to plan your days and put it into action, you get things done on time (Q2). Thus, there is no urgent work waiting for you (Q1). If you take your time to do preventive maintenance and service at home (Q2), you can prevent damage and thus reduce the risk of breaking down of appliances or motor vehicles (Q1). It also saves your time and money down the lane. If you spend more quality time with your spouse and kids (Q2), you wouldn’t have to worry about spending time and energy later on mending the damage caused by the lack of your presence (Q1). Since activities in Q2 are not urgent, most people spend less time here. They spend most of the time in Q3 and Q4, thinking they are busy and productive. But the truth is they are ‘busy’ doing nothing. To bring true value and growth in your life, you must decide what is truly important. Starting a journal can help you in this. Take your time and reflect on what it is that you want to achieve from each of your roles, that is, as a spouse, parent, a homemaker or a businesswoman. Write them down. Now you will begin to understand what your priorities are. Unlike other quadrants, Q2 tasks might not give instant results. But those tasks will help you succeed in the long run and have a secure life. Quadrant 3 tasks are those that are urgent but not so important that you yourself have to do them. But these are still urgent and should be done. I would say these are tasks that do not require your presence as such so that if you can delegate to a trustworthy person, they will be done perfectly as you would have done them. People spend more time than needed on this quadrant thinking they are doing urgent work. And it is also because they get the satisfaction of accomplishing the tasks. This is where you need to distinguish between “urgent” and “important”. It helps to check constantly if the tasks you have in hand, align with your goals. If not, do not ever hesitate to delegate. The time spent on quadrant 4 activities should be avoided or reduced to the minimum. If you are spending more of your free time on social media and not with your kids, you know it is going to reflect on your relationship with them in long-term. But I am against completely eliminating Q4 activities, as you should get to pamper yourself after a long day. I always look forward to the end of the day, after I do the work on my blog and kids are put to sleep. And I can relax with my favorite TV show with something to munch on. It is my reward to myself for working hard during the day. But be aware of the time you spend in Q4, as it should be the minimum. I would aim for 1 or 2 hours a day, according to the availability of time and if my day’s work is done. If you do not finish the important tasks of the day for some reason (life happens! ), I am willing to let go of the Q4 activities for the day, since I know my priorities. 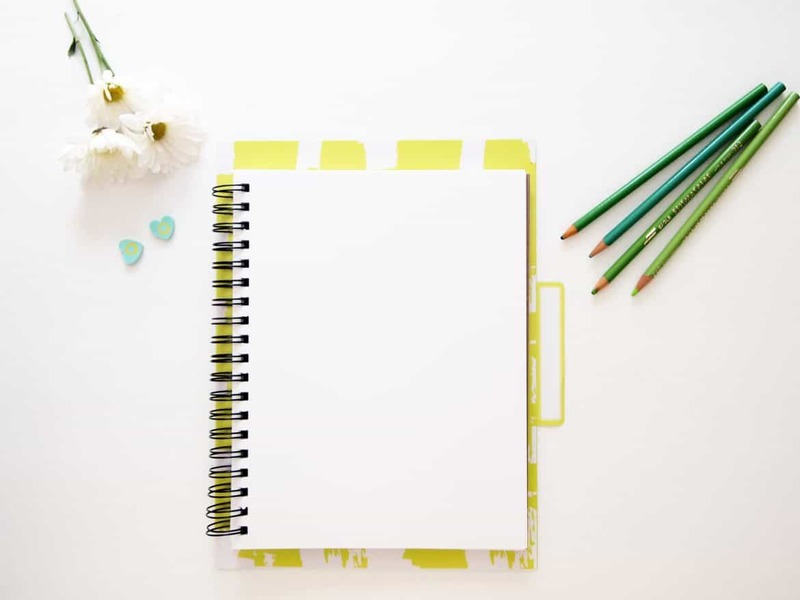 Journaling has had a huge effect on my work-life balance, as it helps me remember what my priority tasks are, for each day. I note down the important tasks for each day in my bullet journal. 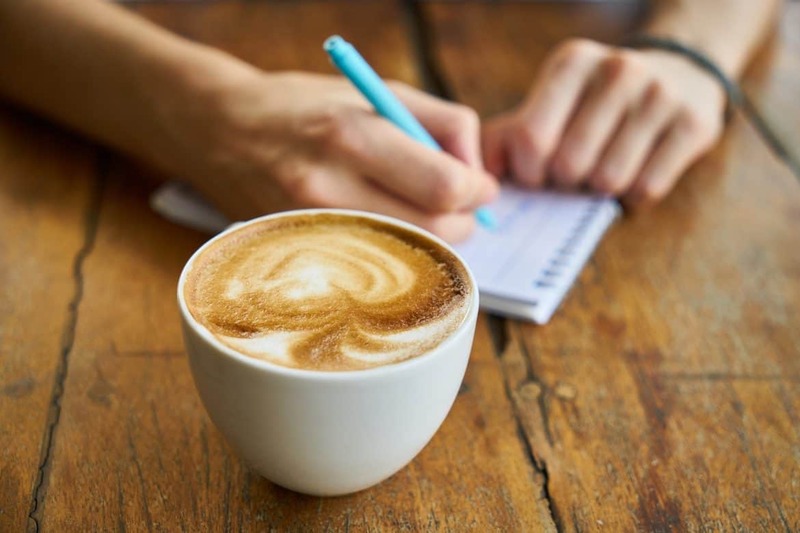 I have always felt that writing down in a journal gives me a push to do the tasks, even if I feel lazy or want to procrastinate. In fact, research has proved that writing down goals increases the odds of achieving them. I must say, you should consider journaling when you set out to find your priorities in life when you have to balance work and life.